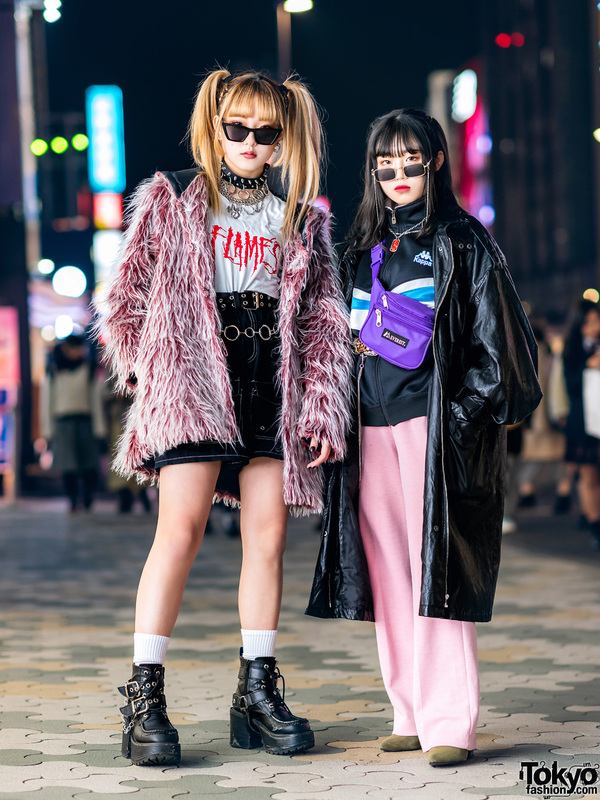 We spotted Siki wearing an edgy gothic style on the street in Harajuku. She stepped out in a black jacket with zipper trims from NOMA t.d. 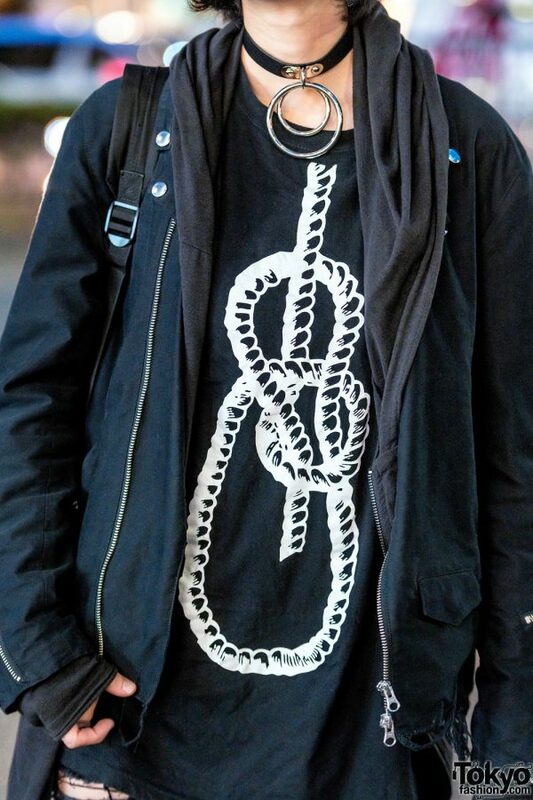 over a black zip-up hoodie and a black T-shirt with a white knot graphic print. 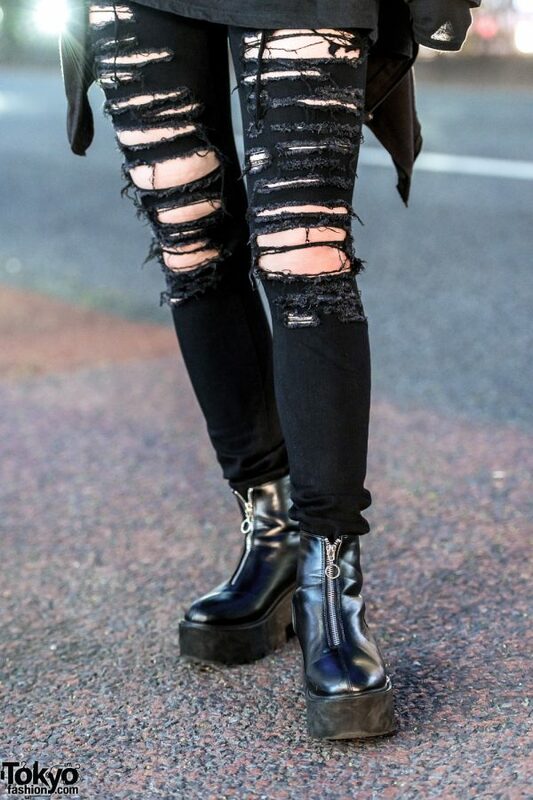 Siki also wore black skinny ripped jeans from GU and black leather platform boots with front zip closures and high block heels from Drug Honey. Her accessories – some of which are from Romantic Standard – include a lip ring, multiple ear piercings, and a black leather choker with large silver O rings. Dark red lips and a black backpack completed her look. Siki gets her style inspiration from Drug Honey and Julius. She also prefers listening to music from The Gazette. Follow Siki on Instagram and Twitter.